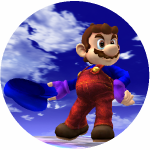 Welcome to Dark Mario's Profile! You are a hero, well atleast in you're mind. You are brave. You're definitely not afraid of the dark! You resemble a Nintendo hero we all know and love, Super Mario! Thanks ShadowAlexando for the first Dark Mario with hammer! 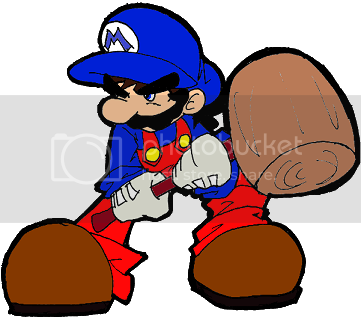 Thanks DSC for the Second Dark Mario with Hammer. [17:55:25] <@Mio> How many times DMB has been kicked, Vegeta? [17:55:37] <@Mio> IT'S OVER 9000!! !